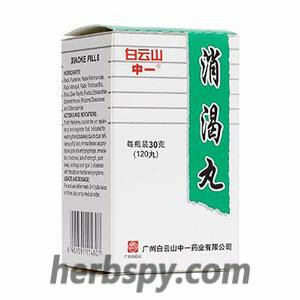 For diabetes with polydipsia, polydipsia and polyuria,weight loss, fatigue due to Qi and Yin deficiency,blood stasis obstructed collaterals,and type II diabetes see the above symptoms. 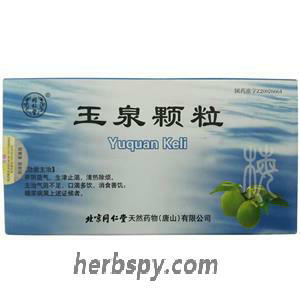 Reinforcing qi and nourishing yin,promoting blood circulation to remove blood stasis,clearing and activating the channels and collaterals. 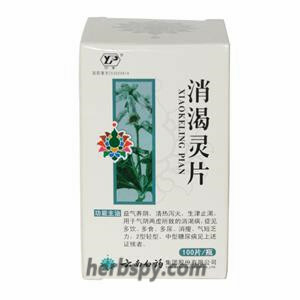 Heterophylly Falsesatarwort Root,Milkvetch Root,Solomonseal Rhizome,Cochinchinese Asparagus Root,Dwarf Lilyturf Tuber,Figwort Root,Snakegourd Root,Stir-fried Atractylodes Rhizome,Rhizoma Anemarrhenae,Kudzuvine Root,Coptis chinensis Golden Thread,Salvia,Leonurus,Red Peony Root,Leech,Medicinal Cyathula Root,Suberect Spatholobus Stem,Chinese Clematis Root,Lychee Seed,Earthworm,Szechwan Lovage Rhizome. This product is film-coated tablet, after removal of the coating was yellow to brown;taste bitter. 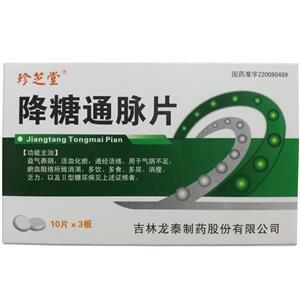 There were 307 cases of Phase III clinical observation of Jiangtang Tongmai Tablets, and the total effective rate was above 95%, which was significantly higher than that of the control group (86%). 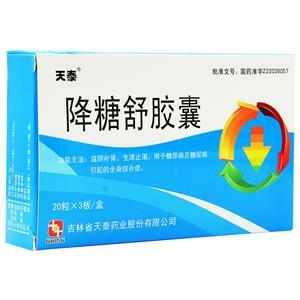 Jiangtang Tongmai Tablets can significantly reduce blood glucose, blood lipids, and improve the patient's blood rheology. And microvascular morphology, fluid state, reduce red blood cell aggregation, increase blood flow within the microvessels, improve tissue hypoxia, ischemia, so as to correct the microcirculation of diabetic patients, improve symptoms, delay the occurrence of complications. 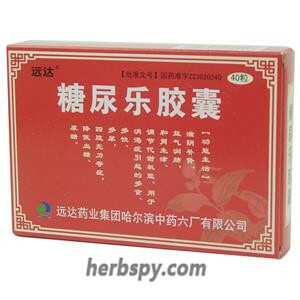 It was confirmed that Jiangtang Tongmai Tablets has the effects of replenishing qi and nourishing yin, promoting blood circulation, and activating circulation. Stage Food and Drug Administration Approval number:Z20080489.